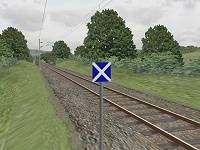 Welcome to the Rail Sim Routes UK Driver's Guide, a new resource to help beginners and new BVE users learn the basics about driving the trains used by the routes developed here at Rail Sim Routes UK. 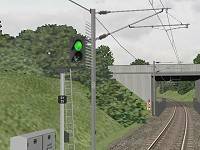 The Rail Sim Routes UK Driver's Guide is a 'work in progress', and will be expanded over time, but please use the links below to learn more about the subjects already covered. Note: You can also download a PDF version of this tutorial here [439KB], in case you want to print it out while you drive the route. You will need Adobe's Acrobat Reader to view and print the PDF version of the Cross-City South / Class 323 Tutorial. Pop-up Timetable [To enlarge/zoom, press 'F4'. To show or hide, press 'F3']. 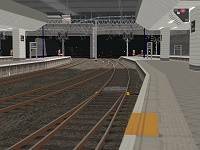 'F5' Reloads the current route (only works in BVE's 'Development Mode'). 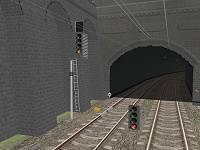 If this feature is used, performance may deteriorate after the route is reloaded. 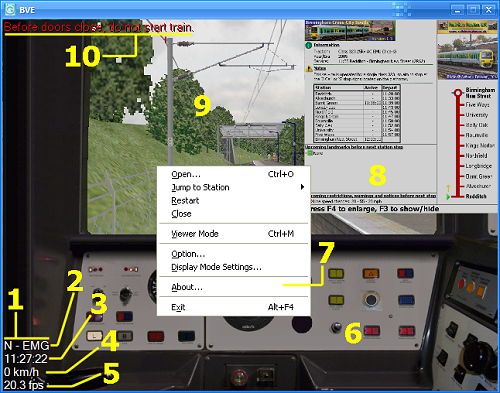 Second Important Note: If you 'jump' to a station using BVE 4's 'Jump to station' feature (see the BVE 4 Help Guide for more information), you may need to reset the AWS and TPWS before you can proceed - immediately after 'jumping to' a station, simply apply full service brakes by pressing the 'Q' key until the brakes are fully applied, and then follow the startup/self test procedure in Step 1 under The Startup and Self-Test Procedure, found below. 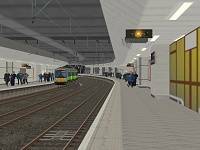 This unit has just arrived at Redditch (from Birmingham), and you join the cab after changing ends. 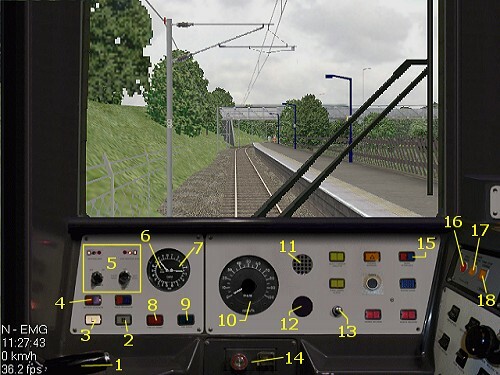 The unit already has power and the pantograph is raised, but you need to insert your driver's key and run through the startup and self-test procedure. Check the Line Volts indicator is illuminated and the VCB indicator is extinguished. Deactivate the Driver's Reminder Appliance (DRA) by pressing ['Space']. Ensure the red DRA indicator light extinguishes. If the DRA is activated, you won't be able to draw power. Move the combined power/brake handle to P1,P2, P3 or P4 to release the brakes and begin accelerating. 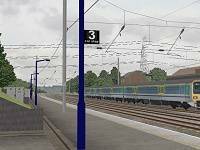 To hear a more accurate rendition of the class 323's 3 phase AC traction motor acceleration sounds, you can safely move the power handle to P4 immediately. 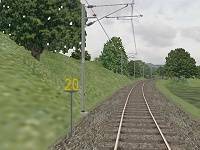 As the brakes release, the brake cylinder gauge will show a decrease in pressure to 0 bar, and you'll hear air release sounds outside of the train. 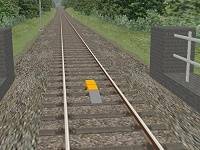 You'll then hear the 'thunk' of a relay and the train will draw forward.